2. The surviving guardians should be unable due to either old age or ill health. 3. The child should be out of school totally unable to pay fees, unable to buy uniform or exercise books. 4. They will be living a scavenging life. 5. They will be considered the poorest of the poor. Below is an example of children whom we found living on edge and whose hope for basic education was nil. We found them fending for themselves in the absence of their grandmother who had been away for many months. The oldest was 11years and the youngest was just 4 years. We immediately enrolled them in a school. 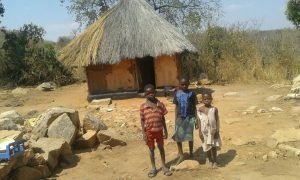 The 4-year-old had to be fostered by one of out trustees in the local area of Mpfurudzi as she could not be immediately enrolled. 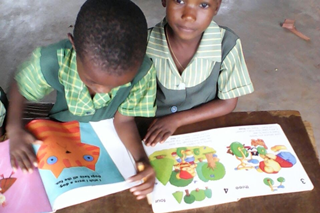 £3 would pay for learning resources of books and uniforms. £5 could pay for their school fees and food. One of payment for building project. 1.Volunteer at our local charity shop at 34 North Street, Keighley, BD22 6QJ. Call 07411433483 to register your interest. a) donate to our shop: books, clothing, bed linen, shoes. 2.Campaign through to your contacts, on Go fund me etc. Let us hear from you.